The only Zero-Turn mower that converts to a walk-behind mower allowing you to mow on hills and in tight spaces where you can't ride. 48" wide cut. 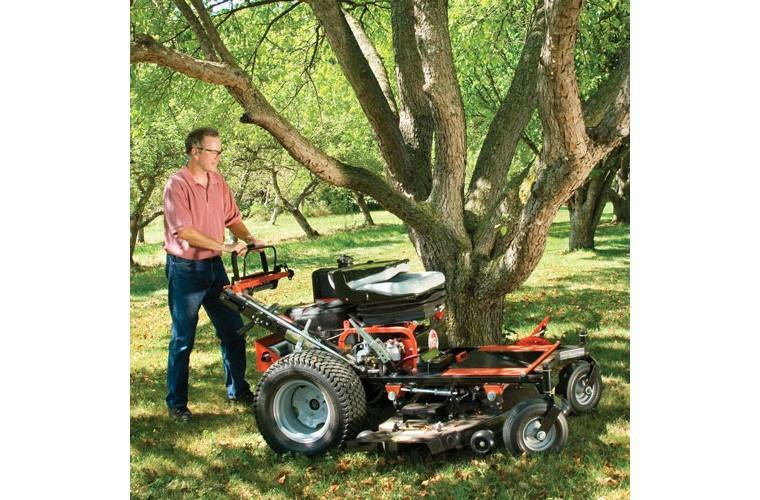 Switch from ride to walk in 10 seconds, without tools: With the pull of a lever you can choose the mowing option that's best suited for the terrain. The handlebars pivot easily from the ride-on position to the walk-behind position, and lock in place for secure operation. It's so easy to do, you'll never hesitate to make the switch. 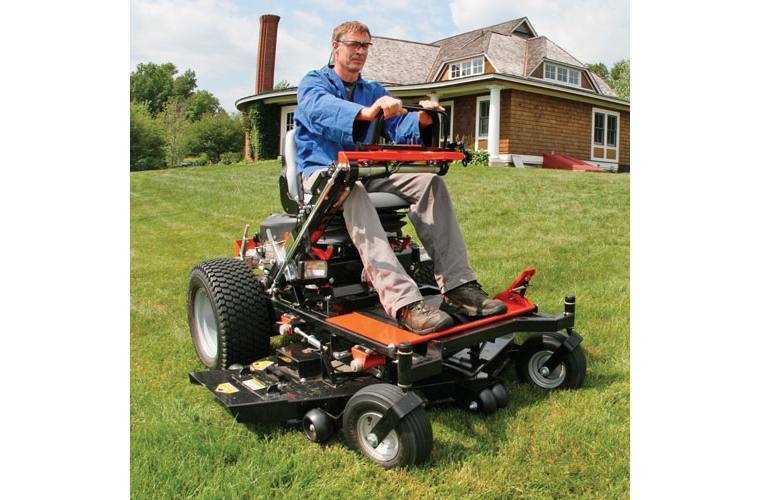 Cutting height adjustment couldn't be easier: A foot-activated pedal raises and lowers the deck, to easily react to differences in grass height, and thickness. Height adjustment from 1.5" to 4". 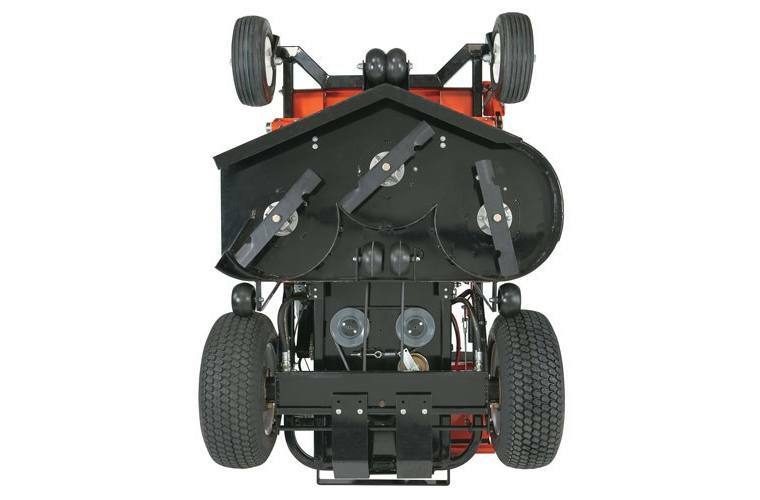 3-Blade deck makes a clean, even cut every time: Cutting deck is made of 10-gauge steel and precision welded. 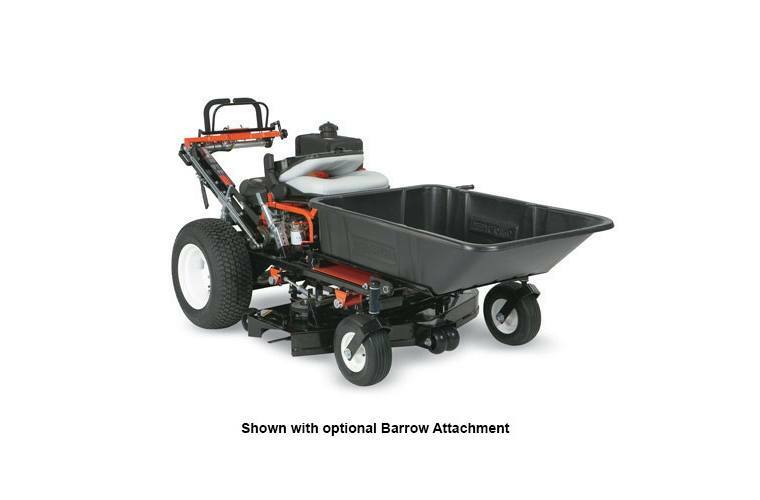 Features a 1/2" steel reinforcement strip to ensure it will deliver years of performance. Anti-scalping rollers in the front and the back of the deck help produce a beautifully level, clean cut. 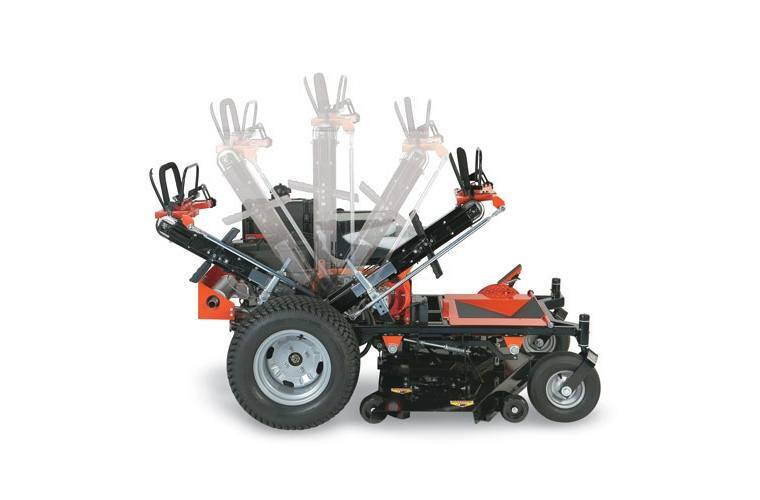 23" diameter rear tires tread softly: High-floatation tires distribute the weight of the mower evenly with minimal turf disturbance. They also provide a smooth ride on uneven terrain. 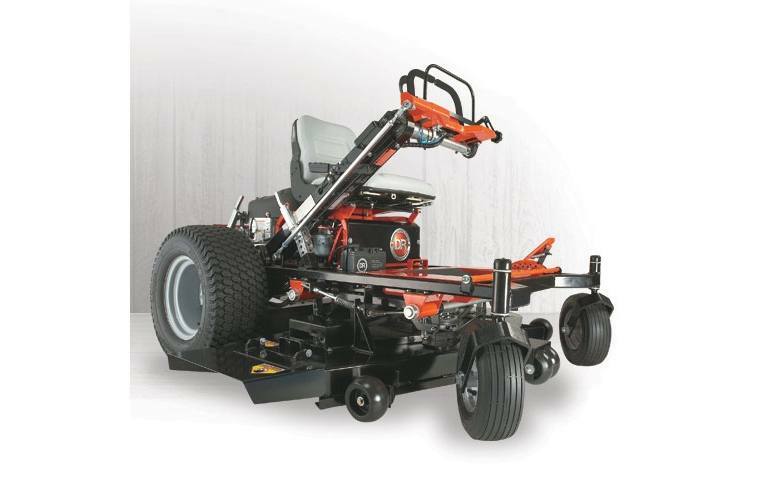 Dual pumps & wheel motors put power in the wheels: Versa-Pro Z-Mowers are driven by commercial grade, independent hydrostatic pumps with dual wheel motors. Dedicated pumps and motors for each drive wheel increase traction, power on hills, and longevity. Large hydraulic fluid tank insures maximum oil cooling and reduces temperatures of the hydro-drive system for longer service. Welded frame is stronger than stamped steel frames: Our heavy-duty unitized frame design is immensely strong...and much stronger than stamped frame designs. Frame is made of 11-gauge/2"-square steel tubing. Powder-coated for rustproof durability. Front Tire Size: 13" x 6"
Rear Tire Size: 23" x 8.5"